Posted on Sep 24, 2015 by Appleton Downtown Inc.
Silver Wear Jewelry will be at Booth 4 – Arts & Crafts during Appleton's Octoberfest this Saturday, September 26th. 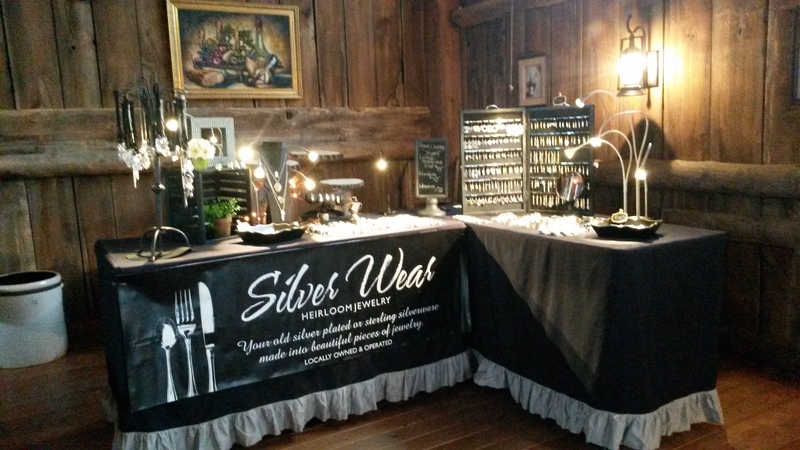 Silver Wear LLC is proud to offer a wide variety of hand crafted jewelry created from heirloom silverware. Our customers can buy the jewelry from our inventory or bring in their family’s heirloom silverware to our showroom to have Darlene create something special. Members of the family can proudly wear their unique custom-made gift while remembering a loved one. Our wide variety of jewelry includes rings, bracelets, necklaces, earrings, watches and more. We now offer fun designs that include elephants, giraffes, dogs, cats and even fish. What has Silver Wear LLC jewelry in such high demand is our superior quality to go along with our very reasonable pricing. Our items start at only $15 for basic rings, necklaces and earrings and max out at $50 for our beautiful watches. Stop by our booth to meet Darlene, see what looks good on you and take our business card. Betcha can’t buy just one.